I specialize in wedding make-up (Traditional or Airbrush makeup) . I also provide hair and make-up services for photoshoots, events, special occasions and ads. 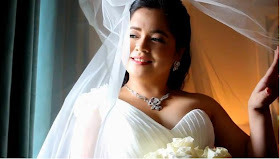 I was trained at HD Makeup Studio and Academy (formerly Basement Academy) for makeup and hairstyling by some of the best makeup artists in the Philippines. I love to blog about my make-up, beauty, parenting, and other personal adventures in this site. WIN the Estee Lauder most beautiful eye look! Damaged skin around our eyes is the most visible sign of aging. That's why it is very to include it in our daily skin care. However, have you found the product that works? If you haven't, Estee Lauder's Advanced Night Repair Eye Synchronized Complex might just be the product you're looking for. Now each one of us has the chance to try it. 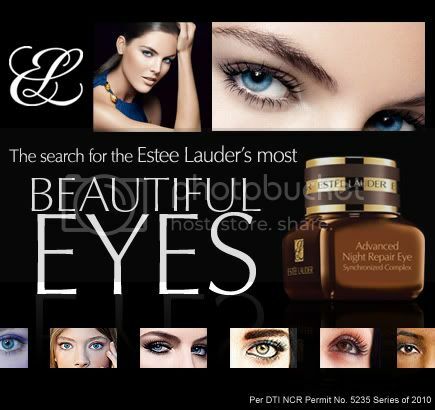 All we have to do is join Estee Lauder's search for the most beautiful eyes. Click here for the mechanics of the contest. Do you want to receive contest updates straight to your email?